Free Wi-Fi hotspots can be helpful for when you need to access the internet on the go but don't want to use up your phone's data to do so. They're also helpful if for some reason your own home wireless network temporarily stops working and you need a backup connection to the internet to finish your work, play games or watch movies. 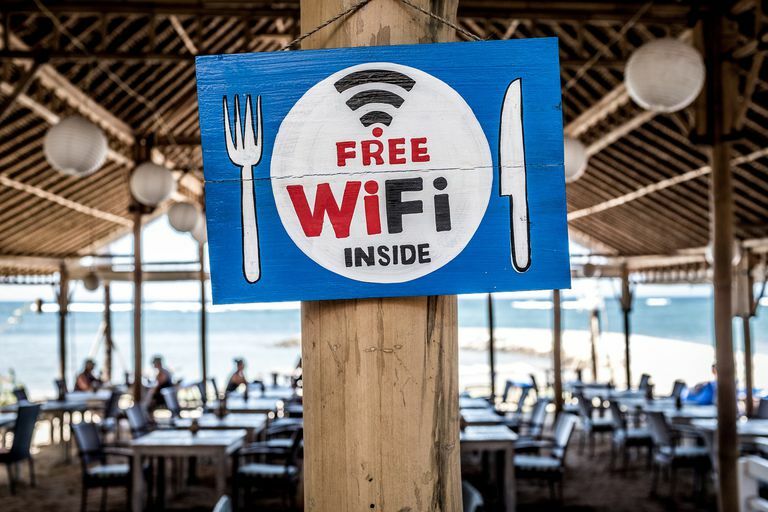 But free Wi-Fi hotspots aren't always available if you are in a location that doesn't have very many coffee shops or libraries (which often have free Wi-Fi). But Xfinity Internet customers have another option besides using the free Wi-Fi that's offered by local organizations and businesses. As one of the perks of being an Xfinity Internet customer, Comcast allows its customers to access its internet services on the go, outside of their purchased home networks, by letting their customers log in to the cable company's own Wi-Fi hotspots. These hotspots are called Xfinity WiFi. Here's how to connect to Xfinity Wi-Fi hotspots. The instructions in our guide on how to connect to Xfinity Wi-Fi hotspots should apply to any mobile device or PC that has wireless capabilities. That said, these instructions should work regardless of your operating system. The only other thing you may need to ensure that these steps work for you is a valid Xfinity Internet customer login (which is usually your Comcast email address and password). What Is an Xfinity Wi-Fi Hotspot? Essentially, Xfinity Wi-Fi hotspots are free-to-use wireless networks that are scattered around communities to allow (primarily) Xfinity Internet customers to have access to the internet when they are away from their home wireless networks. The main benefit here is that Xfinity Internet customers should be able to access the internet anywhere that has an Xfinity Wi-Fi hotspot nearby, which can help reduce a customer's overall smartphone data usage. It's worth noting, however, that Xfinity customers aren't just limited to using their mobile devices with the Xfinity Wi-Fi hotspots. Any device (including PCs) can use these hotspots as long as they have wireless capabilities. And you don't necessarily have to be away from home either. In fact, if your home wireless network is acting up, you can use one of these hotspots to connect to the internet until your network is up and running again, provided that your home is located near an Xfinity Wi-Fi hotspot. While Xfinity Wi-Fi hotspots are mainly intended to be used by current Xfinity Internet customers, Comcast still allows non-Xfinity Internet customers to access its hotspots. You'll still use the instructions below. But when you get to the Wi-Fi login portal, instead of logging in like customer would, you'll instead select the blue Get Started button under the section titled Not an Xfinity customer? No Problem. From there, you should follow the on-screen prompts to either start a free trial of Comcast's Wi-Fi On Demand service or to purchase a wi-fi day pass to use the hotspot. There's one catch though: Not all of the hotspots will offer a guest pass. Access your chosen device's Settings. Then turn on your device's Wi-Fi function if it is not already turned on. When your device's wi-fi is turned on, a list of available wireless networks should appear on your screen. From this list, select the network labeled xfinitywifi. And then, if your device prompts you to do so, select Connect. Depending on your device, the default browser on your device may automatically open to display the Xfinity Wi-Fi sign-in portal webpage. If it doesn't open automatically, you can trigger the portal webpage's appearance by opening your browser and trying to load a website (like lifewire.com). When you do this, instead of loading your test webpage, your browser should instead load the sign in portal webpage. Once the sign-in portal webpage loads, log in to the Xfinity Wi-Fi hotspot by typing in your Xfinity Internet customer username and password in the text box fields at the top of the page. Your username is most likely your Comcast email address. Then select Sign In. Once you're successfully logged in, the hotspot should be ready to use. Be sure to test it by opening your browser again to load a webpage. If you're going to use an Xfinity Wi-Fi hotspot with your mobile device, Comcast recommends that you download and use their Xfinity Wi-Fi Hotspot app for the most optimal experience. The app gives Xfinity customers more security features and it can help you locate hotspots. But the app is not necessary for accessing an Xfinity hotspot. The app is available for iOS and Android devices.